with a warm community welcome and raise vital funds to equip these students with the tools they need to begin their medical education and launch their careers. Guests also have the opportunity to attend a pre-reception private lecture from 4 to 5:15 p.m. sponsored by Michael T.B. Dennis, M.D., Chairman of the Advisory Board for FAU’s Charles E. Schmidt College of medicine. “Modernizing Medicine: Building Software, Transforming Healthcare” will be presented by Co-founders Daniel Cane, Chief Executive Officer and FAU Board of Trustees member, and Michael Sherling, M.D., M.B.A., Chief Medical Officer. Modernizing Medicine was a recent recipient of the Boca Chamber’s 2014 Business of the Year. Limited seating is available for the pre-reception lecture on a first-reserved basis. FAU’s Charles E. Schmidt College of Medicine officially welcomes its fourth incoming class of 64 students the following week on Friday, August 8, 2014. During the special ceremony, each medical student will receive a white coat that represents integrity, compassion and trust and symbolizes their shared commitment to serve patients and honor an oath they will collectively develop before the ceremony that will serve as its own code of conduct throughout medical school and as physicians. The incoming class has a cumulative GPA of 3.7 and an average MCAT score of 33, which is above the national average. Most of the major colleges in Florida are represented including 10 students from FAU. Other students in the class attended undergraduate institutions such as Boston College, Duke University, Emory University, Johns Hopkins, Rensselaer Polytechnic, Stanford University, University of California at Berkeley, San Diego and San Francisco, University of Pittsburgh, Vanderbilt University, Yale University, and others. White Coats-4-Care is part of Boca Chamber Festival Days (a series of fun-filled events held at different locations during the month of August) and is facilitated by the Boca Chamber. For 24 years, the summer event series pairs non-profit and for-profit chamber members to raise awareness and vital funds for non-profits. Pairing Kaye Communications, an award-winning, Seriously Strategic℠ full-service integrated public relations and marketing firm based in South Florida that empowers regional and national brands to grow and dominate with FAU’s medical school continues to be a natural fit. Firm Chief Operating Officer Jon Kaye served for three years as a founding member of the Advisory Board for the Charles E. Schmidt College of Medicine and President Bonnie Kaye serves on the board of directors for both the Boca Chamber and FAU Foundation. Kaye Communications is now headquartered at One Boca Place, 2255 Glades Road, Suite 324A, Boca Raton, FL 33431. For more information and updates, visit kcompr.com, follow on Twitter, or like on Facebook, email SmartStrategiesStart@kcompr.com, or call (561) 392-5166. 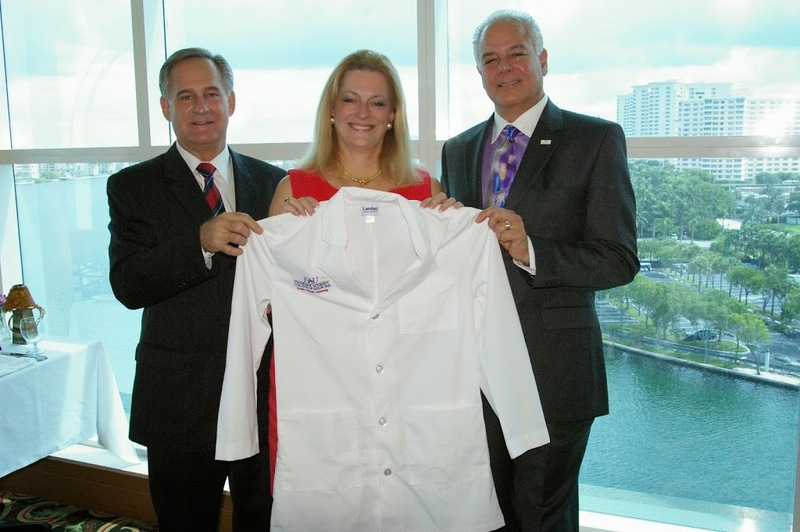 For more information about “White Coats-4-Care”, pledge your gift to attend the event, or make a contribution, contact Gisele Galoustian, Director of Communication at the FAU Charles E. Schmidt College of Medicine, at ggaloust@fau.edu or 561-297-2676. Online registration is also available at https://fauf.fau.edu/wc4c. 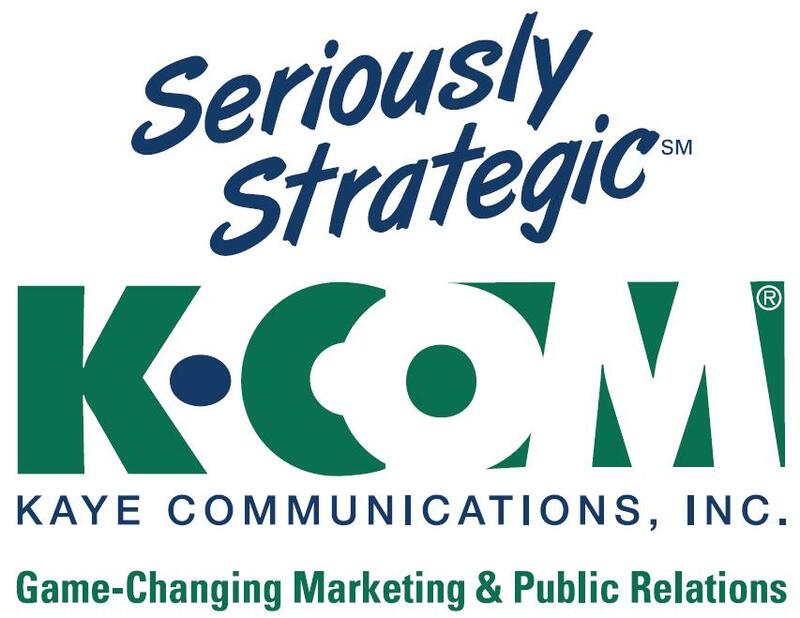 Founded in 1996, this award-winning Seriously Strategic integrated “marketing” public relations firm has delivered 18 years of successful innovative, game-changing communications initiatives that empower regional and national brands to grow and dominate. Practice areas include C-Suite level strategic “think tank” communications planning, brand development for revisioning, reinventions and launches; broad-based and niche market business-generating communications; business-to-business initiatives, community engagement and alliance-building; media relations; social media initiatives; and crisis communications.